I want to welcome all the new readers today from LearnVest.com! Alden worked hard getting that article posted and I hope you enjoyed reading it. If anyone has any questions, please shoot me an email ([email protected])! I will reply once my laptop/internet start cooperating. I invite you to follow my page on Facebook or Twitter to get all the great deals right in your news feed. I know some of you are coming here to learn how to coupon or find ways to save money for your family. Couponing has totally changed my family’s lifestyle. We buy what’s cheap (with exceptions of course) and cook with what we have. I eat very healthy and often pick up wholesome food at a great cost. Don’t just assume all I buy with coupons is junk! Between my mom and I, we purchase food for our immediate family (4 people total), and often times food for me and my roommates here at the apartment and my grandparents. If you’re willing to change your shopping habits and learn to cook from your pantry, then you’re in the right place! 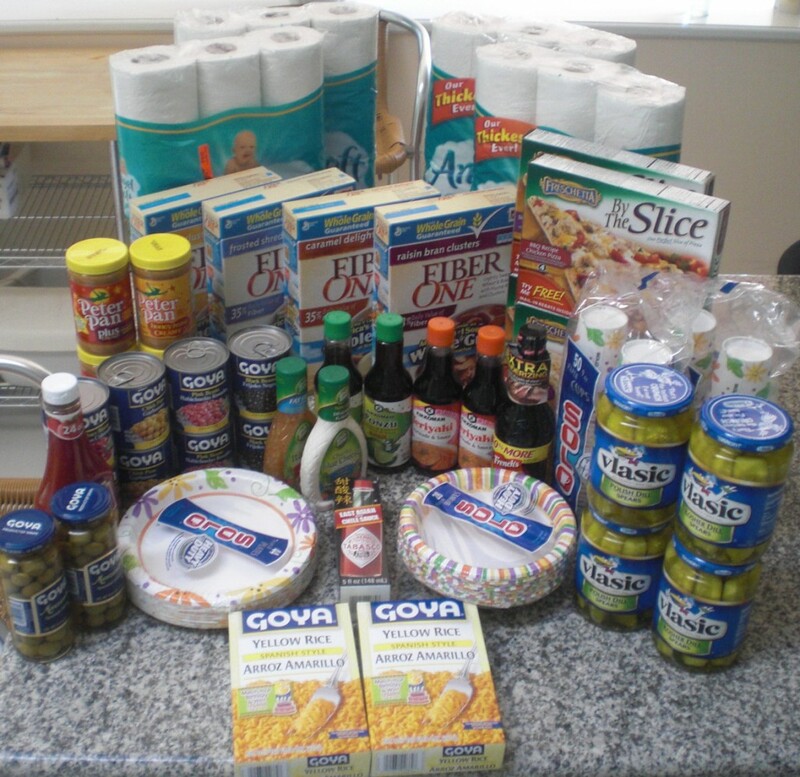 Couponing and frugal living can change your life! https://savvywifehappylife.com/wp-content/uploads/2016/09/SavvyWifeHappyLife-logo-2.png 0 0 Brandi https://savvywifehappylife.com/wp-content/uploads/2016/09/SavvyWifeHappyLife-logo-2.png Brandi2012-11-27 16:28:322012-12-07 15:09:25Welcome Learn Vest Readers! Guest Post by Mike…But I’m totally not going to lie- I use Drop Box every single day now, even though I thought it was stupid in the beginning. It’s great for sharing documents and pictures with people. 🙂 I don’t know, maybe your guy friends will find it useful. Have you ever needed to get to one of your files when you’re not on your computer? Do you want to make sure your important files are protected in case your computer crashes? You can do both of these things and more with Dropbox. You simply sign up for an account and download a small program to your computer. This will place a “Dropbox” folder in your Documents folder on your computer. The program then runs in the background all of the time and syncs anything in that folder to your online Dropbox account. Don’t worry… it won’t slow your computer down at all. Since your files are synced online, you can just login to www.dropbox.com to view and download any of them from any computer with an internet connection. Also, in the event that your computer crashes and you lose all of your files, you don’t have to worry about your important stuff being lost because it will still be online in your Dropbox. Just go here to sign up for an account and receive your 2.25 GB of free space. Choose your Desktop as the location of your Dropbox folder during the installation for easier access. Use Dropbox to share files between two computers by installing it on both computers. The folders on each computer will stay synced with your online Dropbox and each other. Use Dropbox to collaborate with others on a project by “sharing” a folder with other people. The folder will then show up in their Dropbox and everyone is able to view, edit, and add new files. If you have any questions about Dropbox, feel free to comment here or to send me an email at [email protected]! 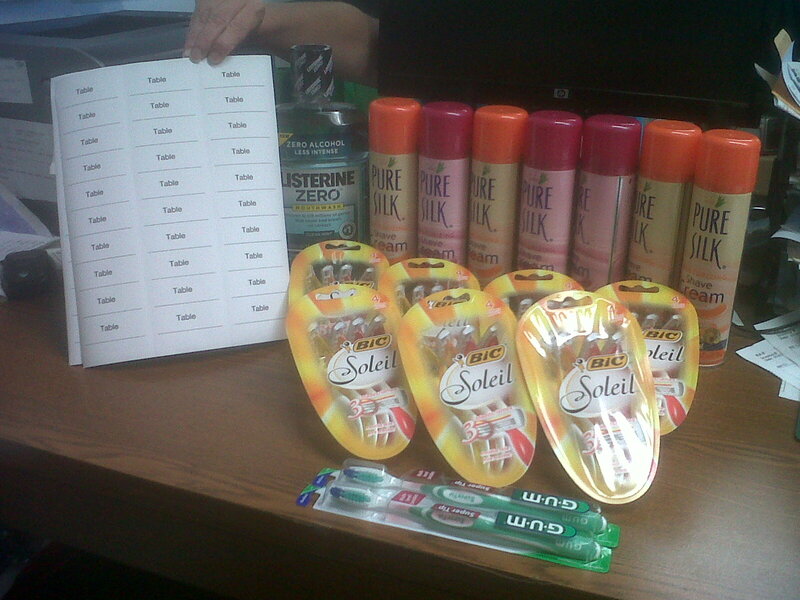 At Staples, they were able to pick up FREE labels from the coupon I posted here. Final costs: $7.60 and saved $78.89!! Huge thanks to Amber for sending in the pictures! Anyone can send your savvy trips to [email protected] or post them on the Facebook wall! ShopRite Triples: For Those Starting Out! Tomorrow is our LAST day of ShopRite triples and I know tons of you have taken advantage of the deals (both new and old couponers!). But, with that being said, a lot of newbies are starting to coupon and there are some HUGE rules to couponing that I’ll cover in a post this weekend. People get very excited about couponing, but if you use a coupon wrong, you are stealing from the store because they could possibly not be reimbursed and in return, the stores are going to become less coupon friendly. With shelves being cleared and people using coupons the wrong way, we could be saying “good-bye” to ShopRite Triples sooner than we’d like. When your $0.75/1 coupon triples, our local ShopRite is covering that additional $1.50, not their corporate or the manufacturer (You can even look on your receipt and see how much ShopRite “paid” of your purchase). 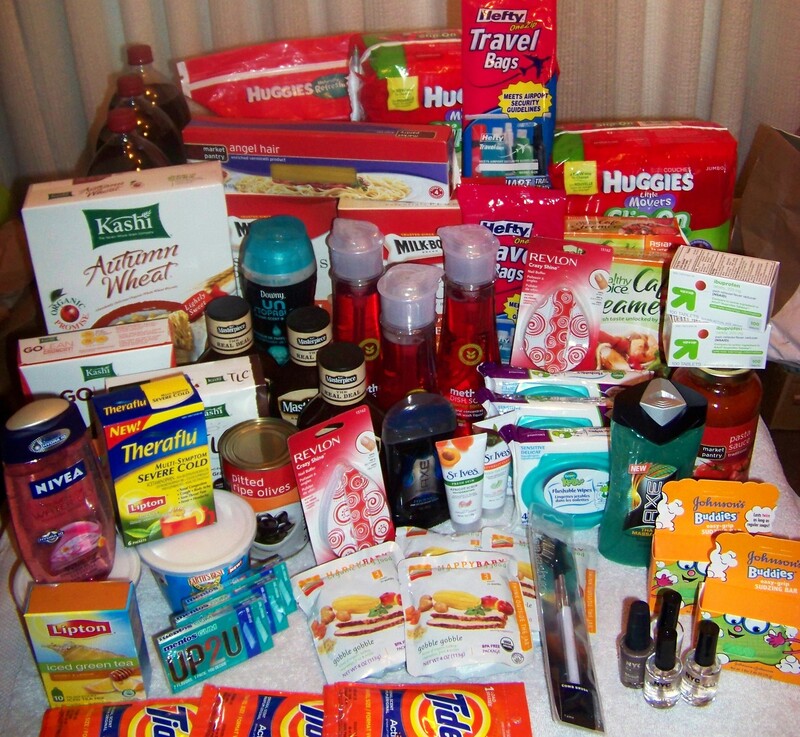 We need to be grateful and show respect as couponers, which is why we’ll have a post on “Couponing with Integrity” (Thanks Dana for the term!) this weekend. 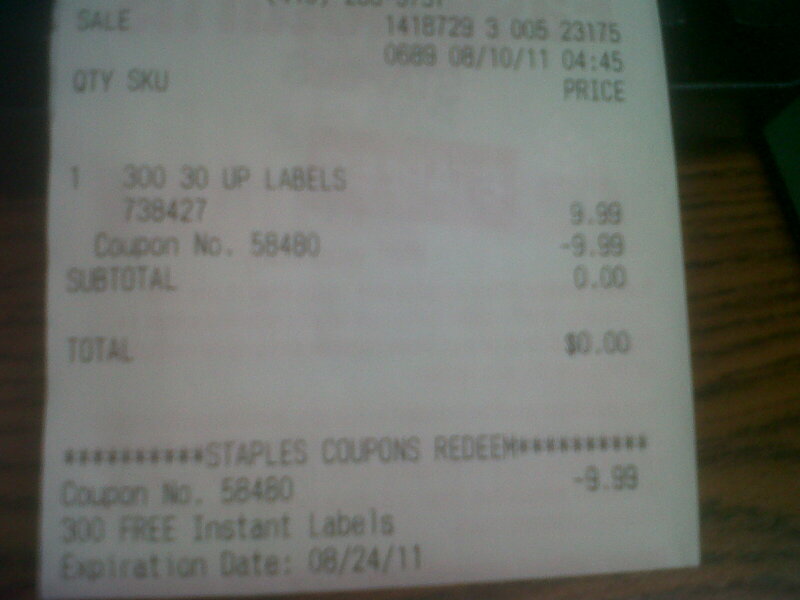 If you are uncertain about using coupons, PLEASE do your research before you potentially steal from the stores. Now, that that is said and done, onto a perfect example of how newbies can become a savvy shopper in no time! Lynnea went shopping with me the other day to take advantage of ShopRite Triples. 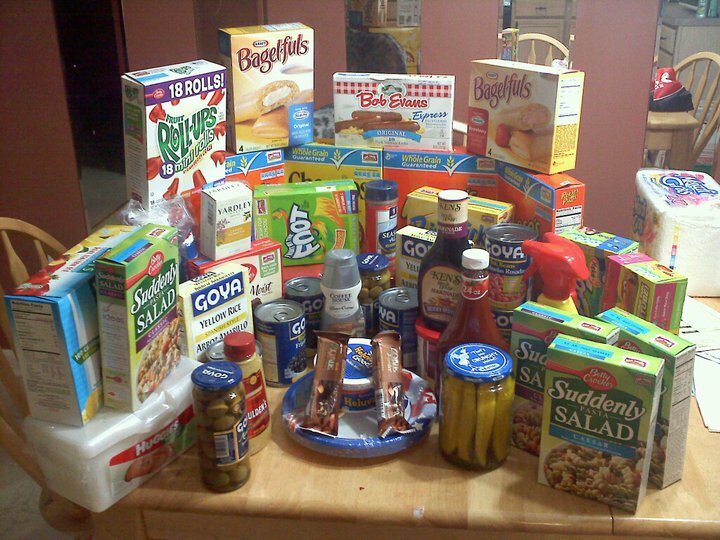 She learned the basics of couponing first hand and scored an amazing deal on her grocery shopping for the week. Here’s her trip for just $27, saving $90! This included eggs and milk too! I want to thank Lynnea for starting her couponing adventures with me and I’m certain she’s going to continue to score great deals every week! Way to go! I wish you all luck on your trips this weekend! You can head here to see ShopRite deals. I only ask that if you are sharing these deals, that you give credit. I’ve spent many hours and taken 4 trips to the store this week to bring the deals to you. https://i0.wp.com/savvywifehappylife.com/wp-content/uploads/2011/06/ShopRite-Triples-Lynnea.jpg?fit=720%2C540&ssl=1 540 720 Brandi https://savvywifehappylife.com/wp-content/uploads/2016/09/SavvyWifeHappyLife-logo-2.png Brandi2011-06-03 15:33:082011-06-03 16:58:42ShopRite Triples: For Those Starting Out! Wonderful reader David (who blogs here!) drove 45 minutes to take advantage of ShopRite triples this week and I have a picture to share with you! He did great! David used some of my match-ups here and even scored some other deals on his own! He spent $18.03 out of pocket and saved $104.94. A total savings 86.7%!! Thanks for letting me share your picture, David! If anyone else wants to share your Triples picture (or any savvy trip!) post it on my Facebook page or shoot me an email! https://i0.wp.com/savvywifehappylife.com/wp-content/uploads/2011/05/ShopRite-Triples.jpg?fit=1024%2C995&ssl=1 995 1024 Brandi https://savvywifehappylife.com/wp-content/uploads/2016/09/SavvyWifeHappyLife-logo-2.png Brandi2011-05-31 13:35:452011-05-31 17:05:26ShopRite Triples: Reader's Trip! If you are a college student and are planning on purchasing Microsoft Office or Windows 7, you can get it a lot cheaper than the normal retail price. Microsoft has a program called The Ultimate Steal which offers Microsoft Office Professional Academic 2010 for $79.95 ($500 retail price) and Windows 7 Professional for $64.95 ($200 retail price). Mac users can also get Microsoft Office for Mac Academic 2011 for $99.95 ($280 retail price). Check with your college before you buy though, in case they do offer a lower price. In my case, this was cheaper than buying through my college. If any students are interested in software development, Microsoft also has a program called Dreamspark which allows you to download a lot of their professional software development programs (Such as Visual Studio 2010 Professional, Expression Studio 4 Ultimate and others), as well as their server versions of windows for FREE. These programs typically cost several hundred dollars at normal retail price! Once again, you just have to have a “.edu” email address to be eligible.